The Radio School to exhibit at Jobs Expo Dublin - April 28th 2018. Could you be a broadcaster? The Radio School returns to Jobs Expo Dublin, where they will be exhibiting at the event’s education and training area, The Campus, on Saturday 28th April at Croke Park. 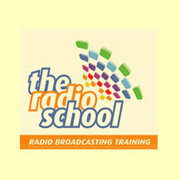 Established in 1995, the Radio School provides part-time courses and training in radio broadcasting. Additionally, they offer media studies from beginners to advanced level. Since then the school continuously updates its training programmes in accordance with technological advances. A team of experienced professionals, all of whom are experts in the radio industry, deliver the courses. In addition, a panel of guest lecturers teaches specialised areas of the course. The Radio School’s tutors are dedicated to helping students to learn practical experience and skills. As a result, they can make a smooth transition into the workplace. Due to the lecturers sustained involvement in the industry, they can prepare students thoroughly for involvement in this dynamic area, both at home or abroad. Students receive a “real world” view of broadcasting at the studios of a local radio station. This enables students to view, first-hand, the various operational aspects of the radio station, and to learn in professional surroundings. Looking for like-minded people in your industry? Meet IE Network at Jobs Expo... Leading global contract research company, PPD, join Jobs Expo Dublin.